Permian tree fern seedlings or enations ? 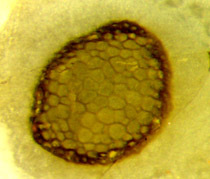 What looks like a tiny first leaf of the extant male fern Dryopteris but is found fossilized among remains of the Permian tree fern Scolecopteris may tentatively be taken for a seedling of the latter, emerging from a flat object which could be the related gametophyte (Fig.1). An alternative interpretation suggested by the fact that fern rhizomes and frond stalks often bear enations or scales of various size and shape  cannot be excluded but seems less realistic. 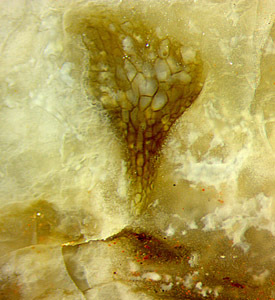 Fig.1: Tiny first leaflet of germinating tree fern Scolecopteris emerging from prostrate gametophyte: tentative interpretation. Height of the picture 2mm. Figs.2,3: Similar as Fig.1, same scale, height of the pictures 3.5mm. 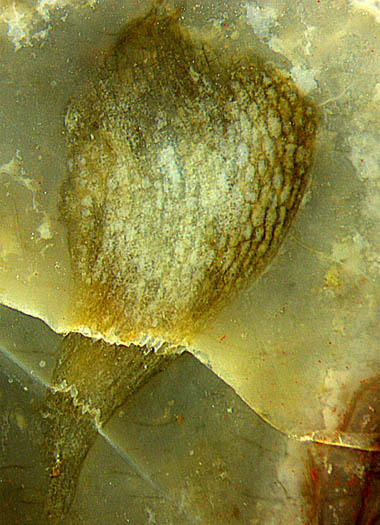 The seedlings were unexpectedly found while looking for the "maggot fern" Scolecopteris on cut faces of a chert boulder obtained from Gert Müller. The partially transparent chalzedony offers a 3D-aspect in some places, as in Fig.2. There the uppermost part of the bulging tissue with clearly marked cell walls is cut away. Similar shapes as shown here are known from own finds [2,3]. Conspicuous is the deviating shape in Fig.3. It is a rare view because a long stalk is not often aligned along the cut face but more often more or less across (Fig.4). Figs.4a,b: Cross-section of the lower stalk-like part of a leaflet, (a) scale twice as large as in Figs.1-3 for better visibility, and (b) same scale for better comparison. Width of the pictures 0.7mm. Fig.5 (right): Cross-section of the upper part of a leaflet, same scale as Figs.1-3,4b, picture size 1.34mm. because no suitable one was found among the above seedlings (Bu7/86). These figures show that (1) cell size varies greatly within one leaflet and (2) the expected leaf-like flattening of the club-shaped "leaflets" does not yet appear at this early growth stage. Thanks are due to the fossil collector Gert Müller (Dresden + Düren), who found the chert sample of 8.1kg from which Figs.1-4 have been taken, at the "maggot stone" site (at the boundary between the municipalities Kleinnaundorf and Burgk, Freital) in 2003. It offers more interesting details and is now stored in the own collection under the label Bu7/140. 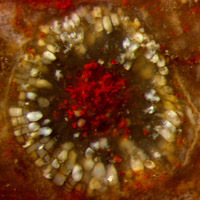 Fig.5 has been taken from a sample of 5.3kg (Bu7/86) found at the same location in 2001. H.-J. Weiss: Keimpflanzen des Baumfarns Scolecopteris /Psaronius aus dem Rotliegend (Unter-Perm). Veröff. Naturhist. Mus. Schleusingen 16(2001), 15-16. H.-J. Weiss: Farnkeime im Kieseltorf. 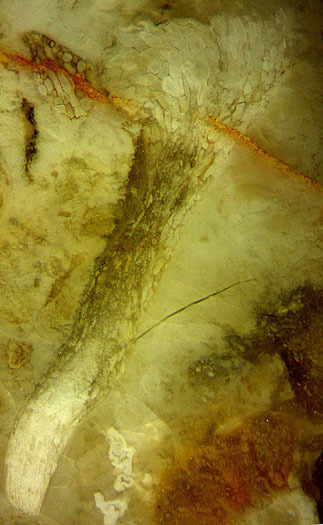 Fossilien 19(2002), 263.